Yellow wall paint from handcrafted house. Joey is the owner and bicycle extraordinaire of Velorution Cycles. 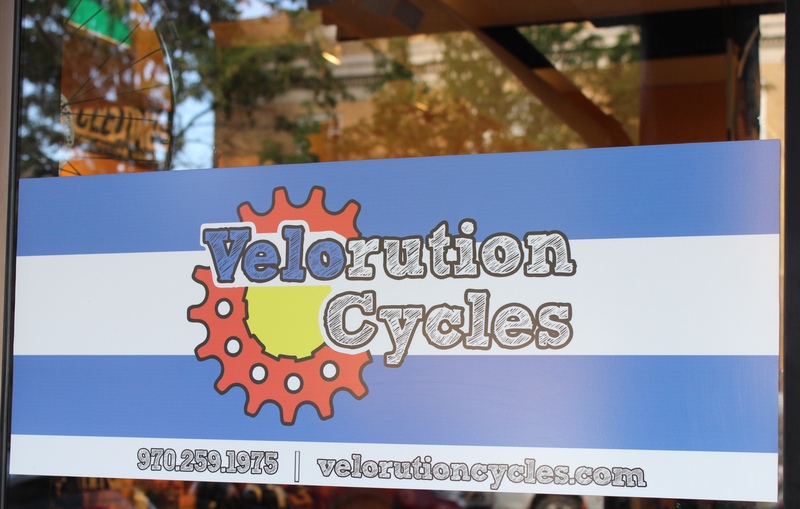 Velorution Cycles opened January 1, 2012 and then quickly expanded to give even a greater selection of everything bicycle and he used handcrafted house for all their finishes! 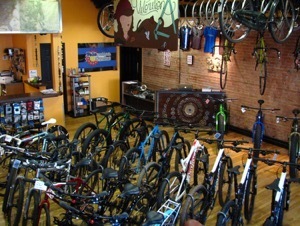 Velorution Cycles are available to provide you with bikes, gear, service, and knowledge based on decades of experience. Whether you are bikepacking & touring, commuting & gravel grinding; trail riding & fat bikes – they speak your language (get ready to ride in the snow and visit Joey for a fat bike of your very own). VC says “philosophically speaking, we truly think bicycles are one of mankind’s greatest inventions and that they can be an important part of the puzzle our species is finding itself in dire need of solving”. I say good point. Not only does Joey carry great bikes- he has some awesome apparel too! (which can also be ordered online). How did you decide to open a bike shop? I’ve worked in the bicycle industry since I was 14 years old. I’ve worked at shops across the country, and spent three years on the World Cup MTB race circuit as a mechanic for our National Team. After traveling all the time got old, I decided to settle in Durango, and opening a bike shop was just a logical progression of my career! What made you decide to use products from handcrafted house in your store? Having grown up on a homestead in the middle of a nature preserve, and being married to a commune-raised semi-hippie, I guess you could say I didn’t even consider any other options. I care about my employees’ health, my customers’ health, the state of our planet, and my health. I knew HH carried Mythic finishes and I was looking for low-VOC paints and stains; I’m not okay with sitting in a shop for 10 hours while breathing paint fumes. Finally, Sheryl and Lars are awesome folks and wonderful to deal with! Keep business local! What makes you stand out from other bike shops?